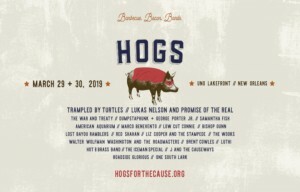 Don’t miss Hogs For The Cause Friday, March 29th and Saturday March 30 at the UNO Lakefront Arena. The event supports families, fighting pediatric brain cancer. Dumpstaphunk w/ George Porter Jr.